If a book had not one single blurb for it, would you still buy the title if you were interested in it? Do you even read book blurbs? Do you think blurbs are easily given to authors? Do you respect what is said by the guys that seem to constantly blurb books all the time? Please leave your comments below, I’d like to read them. Michael, I am thinking of how to word my response, yet I think you and I probably agree on the whole “blurb” issue. 1] If a book had not one single blurb for it, would you still buy the title if you were interested in it? Yes, I would! Blurbs can help raise the stakes of a book, particularly if they are from individuals you respect in a given discipline, but this will depend on the nature of the blurb. If it is nothing more than fan press, they are more than likely to be speed bumps that one may read, but more easily forget. They can also be helpful if you are buying a title on-line and are unable to peruse the title for yourself. However, this has been recently circumvented as more publishers are providing excerpts on-line, which are definitely helpful. I read some excerpts of “Rescuing Ambition” on-line recently, and in the Introduction, Dave Harvey mentions about his informal survey at his work that affirmed that these people don’t read the “Introduction,” however, I find these quite useful. 2] Do you even read book blurbs? I try and encourage myself in this regard, and as I try and reflect on this reality, the longer the blurb, the more endemic credibility it seems to offer. It’s not just that it is longer, it tends to validate the sense that to engage on this level behooves that same level of interaction with the text of the title. In contradistinction, the short couple of lines tend to come off as “RahRah” statements, generally from theological compatriots, cheering on their boy, which means they give the appearance of lacking a robust interaction with the text. 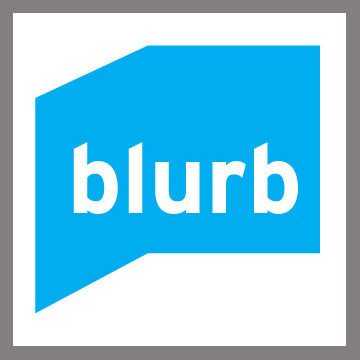 3] Do you think blurbs are easily given to authors? More often than not, this seems to be correct. It seems that blurbs are given more on the basis of affinity with a given position, than how well this position is articulated in the title. I think this practice also highlights how consumers are impacted-to-buy, which tends to be more at a superficial level, with such encouragement, often enough to shell out the plastic. I am wont to be thus induced and enthralled, so I stand condemned! 4] Do you respect what is said by the guys that seem to constantly blurb books all the time? It can be a little of the “crying wolf” scenario, with the same effect as the law of diminishing returns. As your awareness of the propensity of a “blurber” to blurb becomes apparent, the trajectory of their impact tends to follow forthwith, which tends to follow how they blurb. If an author blurbs big-time, affirming a good interaction with the text, this puts them in good standing. If this is replicated with a high frequency, they may just make it through the blurbing process unscathed, affirming that you can blurb and let blurb! I guess there is a blurb-to-pay for Free Books, and who wouldn’t be tempted, and thus! I think that is enough from me… Next! Its serves me in this way , if someone who I would not read puts a blurb on the back, then they just saved me $10-20. If I trust the author, then no blurbs are necessary. But for all other books, blurbs help. I personally don’t pay too much attention to blurbs. Granted, I have been immersed in one particular area long enough (Old Testament Biblical Studies) that I can generally recognize who will be helpful, or at least what perspective a particular author will be coming from. We generally find at the bookstore, however, that a good blurb can sell someone on a book they wouldn’t have normally considered. I think a ‘blurb’ can be a very helpful tool in helping someone discern the value of a given book. That being said, there are some blurb writers who have apparently read almost half the books we carry (I’m looking at you, J.I. Packer…). Take, for instance, the Lawrence’s Biblical Theology book coming out from IX Marks. It has a Graeme Goldsworthy quote on it. If Goldsworthy holds a book in high regard, it is probably worth reading. Goldsworthy doesn’t blurb often, and I think he is well-respected in his field — this means that there is something special about the book. Other indicators of quality and/or decision-making factors include: who wrote the foreword (if there is one), who it is published by, and (when possible) the perceived quality of the bibliography (more applicable to academic titles).